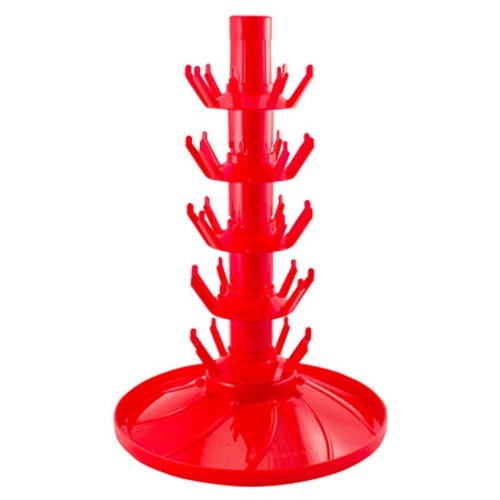 MoreWine's Rotating Bottle Tree holds 45 bottles. When used in conjunction with the Sanitizer Injector accessory B520, prepping your bottles for bottling couldn't be easier: simply place your desired sanitizer in the reservoir, hold the bottle upside down on the white shaft and push down to inject the sanitizer into the bottle. Place the bottle on one of the arms of the tree to allow excess sanitizer to drain out and proceed with the next bottle! Made by Ferrari Group in Italy.